Just realised this is Mo's word today. I have missed you all for the last few days. It's the sign of an addict! Hope it's not for much longer. 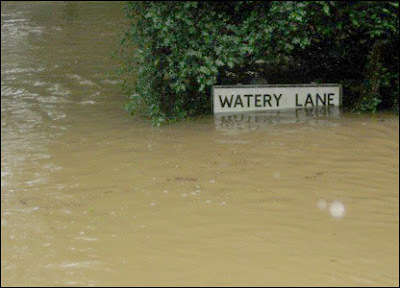 And guess what... Orange are blaming the floods. I live in Scotland. The nearest flood has to be several hundred miles away! I can't read comments easily as I have chosen Easy Internet (the easyjet internet cafe) to get online and it is painfully slow. As soon as I am back up and running I will get to see your comments and come to visit. If you're a travelling journals participant: I'm starting to panic now! But will try to get the book off on time even if it means more visits to the worst internet cafe the world has seen. Hope all is well. I have about 8 mins left so I'll get round a few folk if I can. Can't believe it's taken me nearly an hour just to get to read my e-mails and log onto blogger!!! I'm slightly embarassed posting this today, as it's gonna let slip that I had GMTV on in the background to my blog-hop this morning. For those who don't know GMTV suffice to say it's rubbish. However, they had this guy on this morning and he is quite pretty.... I thought that you might like him too. He's an Icelandic singer called Cortes. I was listening to this reading Kyra's blog... cheery. It seems for once that I have a lucky escape from rain being up here in Glasgow. I had spoken to my parents, but they had not really mentioned the flooding much as they live up on the hill. Today I looked at the website of our local paper (which is fab usually for a laugh), only to find the flooding is worse than I have seen before. It's all gone nuts again here... but today is a day off... woo hoo! I'll have a quick browse just now to see what you're up to but must start practising soon. Have you seen what's going on down South? It's scary! 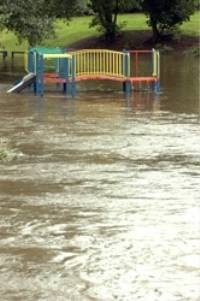 My hometown is flooded, but our house is at the top of a hill, so Mum and Dad are ok. Does anyone know how to clean silver using any household stuff (ie. without having to go and buy silver cleaning things)? We held a rehearsal on Friday for our concert. We have been working & researching the programme for a while so it was just time for a runthrough. Fortunately our performance did not induce our audience to sleep and it seemed to go down quite well! It was throroughly enjoyable - and I love getting audience feedback that is positive. Country Dew & Caty have asked whether I have any clips they could hear. I've been busy (as regular readers will know is pretty much always the case) so have not managed to get together with the guys for a recording session for a LOOOONG time. After our concert I met a friend who lives in Dundee and we headed out of the hall. There was a strange sort of fair event on in the city, and we headed straight for the Bavarian Beer Halle outside. She got us some beers and a gigantic sausage each - this is Audrey with her sausage. It wasn't long before the rain started (it is Scotland after all), so we moved inside. From the safety of the beer tent, we watched the damp grey Dundee afternoon. I have a gig tomorrow in Dundee so will be away for a few days. I'll try to get round to see people this morning but I also have to practise (or the gig will be rubbish). 11.00 am - Diversimode (early music group) Cappuccino Concert. Last night my boyfriend and I went to watch Partick Thistle football team play Falkirk. My office job company is currently sponsoring the team, so they get tickets for some matches. We were given hospitality tickets, and were fairly excited as we have had no money ALL month so haven't been out since mid June. The info from work said that there would be a finger buffet and I got a pass for the bar. We arrived and hung around outside for a while as I couldn't remember the instructions for where we go in. After a while I gave up and phoned my Mum to ask her to break into my e-mail and get the details. We found we were to go in through the main entrance in the new stand. When we went through and said that I worked for Resolution we were ushered immediately upstairs, and through into the bar. Fab! I was a bit shy as I wasn't sure quite what was going on, but everyone was welcoming and we got ourselves a couple of drinks. We were then told that there was food, and we moved to the nicely laid tables. We were given a whole dinner - Chilli with salad & bread. We were offered wine etc until kick off when we moved out to the stand. 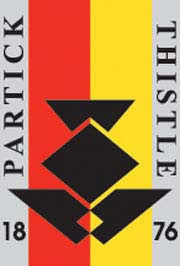 Partick Thistle have been my favourite team for years, as we used to live near the stadium. It was great to see them play again (haven't been for years). At half-time we were offered meat pies and coffee or tea. In the 2nd half Partick Thistle scored twice... and Falkirk did not! Ha ha. After the match there was a free bar again, but we had to get home so only had one quick drink before heading home. Thursday Thirteen: Thirteen things I would like to do more of/know more about. Knitting - I have had a go. When I was at school I made a scarf. That's the most I've ever managed. Sewing - I do this a bit - rarely. I used to do a lot more, make clothes etc. I have used the excuse of not having time for years, but I could probably find the time. Theatre Music - I studied this a bit at music college. It still fascinates me & I want to know more. Early Music - I do this for work - and pleasure. I have only really read up about Italian and English early trumpet playing. I am sure that there is an awful lot left to investigate, and soak up. Finance and Account keeping. I am RUBBISH and make my self-employed tax return season a nightmare for myself. I know almost nothing about this topic. Plants - The science of plants is my boyfriend's speciality. It's something that really interests him, and I find that over the years it has been rubbing off on me. I used to politely pretend to be interested when he was showing me the 24 different types of grass that are growing in our lawn, and to tell me the minute differences between them. Now I am genuinely interested... for longer than I used to be. Gardening - I have a beautiful garden. I love it and wish that I looked after it better. 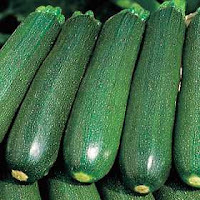 Unfortunately we have so much rain, and I work so often at the weekend, that I do not get the inclination to garden as often as I should. Drawing/Painting... I'd like to be artistic. Geography. I didn't know Turkey neighboured Greece... We were looking at restaurants to go to next Wednesday (pay day!) and I read a Turkish menu that I thought was quite Greek-sounding. When I commented to my boyfriend he looked at me like I was a moron. I definitely need to brush up on my Geography. Sense of Direction. I'm not sure you can learn this. So I'll just wish I had a better one. Self-discipline. I should still be practising really. I'm the worst waiter in the world. I don't mean waiter as in person who serves food (although I'm not the best at that), I mean waiter as in person who is waiting for something/someone. My boyfriend phoned to say he was having a pretty rotten day and to tell me that he would need to stay at work for several hours longer than usual.... He seemed genuinely p'd off and I still don't really know what's going on. And it's meant that I have done nothing useful all evening. Which is all I really had to do this evening anyway... I'm just worried. And I want him to hurry up and get home to tell me about it. 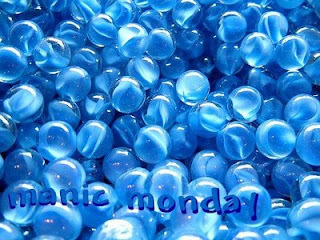 I was having a blog-browse (avoiding work) and came across Mo's Manic Monday theme on Travis' blog. What country do you imagine this is from? As it happens I was watching a BBC programme last night on Britain - and they showed this amazing Hindu temple. I had not heard of it, and I live in Britain... and actually come from a town within 100 miles of it. Build on this temple began in 1993 and was finished in 1995. I would love to know whether it was British built too, as I have never seen a new marble building like this before here. 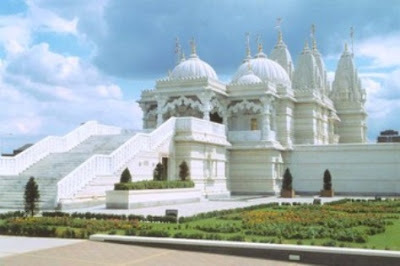 It's located in a North London suburb, and is built in the style of traditional Indian temples. Thirteen ingredients I actually have at the moment in the house. Only have a few bits in... mostly veg. All I need now is Mags to make me a recipe! The purpose of the meme is to get to know everyone who participates a little bit better every Thursday. Visiting fellow Thirteeners is encouraged! If you participate, leave the link to your Thirteen. On top of the worries about my teeth (which are a bit sore - but the dentist said they would be after he had a good poke about on Monday), we also are a little strapped for cash this month.... So as a solution to this I am walking home from work rather than taking the bus. As I am doing a lot of overtime in the office (school holidays and not many gigs this month) I am also taking in lunch, or at the very least keeping lunch under £1. I am rather proud of this though I'm not sure how long I'll keep it up. Yesterday was Day 1 of the plan. I took in one banana and one marmalade sandwich (not the usual sandwich fillings I know, but you have to work with what you've got!) and was certain I'd stick to it. By lunch-time I was HUNGRY! But after eating my sandwiches I realised why these are not usual fillings. It's because they're GRIM! Work was busy, so I didn't finish til late. My boyfriend walked in to town and met me after work. We then walked home. All 5.69 miles (9km). If you're good at maths you will realise this meant he walked 11 and a bit miles..... half of that just for me! Today I took it a bit easier. I walked half way home, and got my boyfriend to pick me up on his way home. This was MUCH nicer!!!!! It took a LONG time to get home yesterday. Today only took me about 40 minutes walking plus about 10-15 mins in the car. I think I can keep it up. Unless I have a gig - which means cash so the deal doesn't apply! I'm interested to see if I lose weight... I'll let you know! My teeth, it seems, are to remain intact for a while longer. I had actually been totally terrified that I had done real damage and thought I could feel my teeth wobbling over the last two days. It seems in fact that there is NO wobble, and that although I have some gum damage, it is only caused by over-vigorous brushing (which you do when you get paranoid about teeth problems). It is not reversible - which is bad I suppose. 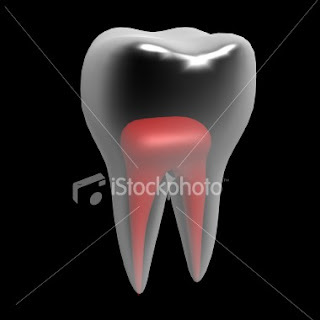 But it's also not serious, and doesn't mean your teeth are weakened. haha ha ha ha - I love this! It's so true that my weakness is Quizzes - not only do I LOVE them, I'm also usually appalling at them. I'm going through one of the blogger 'I can't think of anything to say' phases at the moment. To get back into the swing of things I'll try a diary post for today. I got up early despite not having any work on today, as my boyfriend woke me up before he left for work. I quite wanted to get some housework done anyway so this was fine by me. It is now after 6pm and all I have managed to achieve is a bit of washing up. Where did the day go?! Over the past 4 or 5 weeks I've been a wee bit concerned about my teeth. I stabbed myself in the gum a few weeks ago, and it was fairly painful. Afterwards the gum seemed to have receded a little. 4 weeks on, the gum has still not returned to normal. Actually it's quite a day for dilemmas. Earlier today I was mulling over whether to go use some vouchers I got for my birthday to buy a present for Lisa, or whether to give her the vouchers. I've decided to get her a present with them as they're worth quite a bit and I might be able to get myself a present too. Thanks must go to my boyfriend and my sister for their assistance with my quandary! The purpose of the meme is to get to know everyone who participates a little bit better every Thursday. Visiting fellow Thirteeners is encouraged! If you participate, leave the link to your Thirteen in others comments. It’s easy, and fun! Be sure to update your Thirteen with links that are left for you, as well! Last week my boyfriend and I went to Wales. We stopped in Leeds for a few days to help my sister move into her beautiful new house, then moved on to camp in Trearddur Bay, Anglesey. My parents are Welsh. My Dad was born in Holyhead on Anglesey, and as children we used to visit the island fairly often. It still feels familiar, although I hadn't been back there for years. We arrived on Tuesday and parked our tent on a nice piece of grass not too far from the toilet block. We then set off to Holyhead to go to the supermarket to get some basics before coming back for a walk around the campsite until the sun set. As you can see, the clifftop location of the campsite meant the views on our walk were spectacular. Party is over.. mess is yet to be cleaned up! Last night Dixie was the star attraction of our party! He very obligingly played with some people, and then settled down later on to snooze happily on others. He licked indiscriminately, and was stroked, mauled and petted all evening. We're just back from our week in Wales and there are so many things I want to blog about that I'm struggling to work out where to start. Perhaps I will follow Gattina's example and set myself up a holiday blog. I'm aware that it will be very dull if I bombard any readers with the whole lot in one go! For now I'll leave it at this, as today is PARTY DAY... and I have preparations to make.